Your company asks you to be proficient in a foreign language...what do you do? For Rakuten employees in Japan, the answer is "learn the language". As a result of opening offices in the U.S., Rakuten decided to change its language of business to English, a language all its employees must now learn within two years. And according to a blog post over at Livemocha, Rakuten is utilizing Livemocha’s online language-learning tool to help its employees become proficient in English! A number of other companies, including Google, have taken a strong stance on language-learning, paying for their employees to use Livemocha’s services. Livemocha allows users to learn another language by speaking with foreign users online. 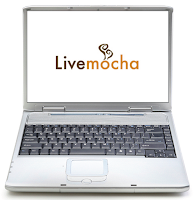 See how Livemocha works. What are the benefits of employees speaking another language? 2. Cultural know-how: Most people who speak another language, especially native speakers, will have insights into the cultures of other countries, which is useful if working for an international company. 3. Inter-office communication: A company with international offices will be able to use its bilingual employees to join the worldwide staff together, and to make business more united. Would you learn a new language for your employer? Leave a comment!